I absolutely love candles. They brighten up my day with the many different scents and they get me relaxed at night. I've always loved using them at the beginning of Fall and Winter the most because that's when the baking in my house is in full action and also it reminds me that the holidays are around and especially with the weather we get, they make my house feel cozy. Well I haven't used candles in a long time. In fact this past Fall and during this Winter I bought a couple and never lit them. It all started at a family party when my husband's uncle was telling me why I shouldn't use candles and that the wick from some candles leave lots of soot on your ceilings and walls. I had actually never even thought of that. So after the party I went straight home, used a candle and after about five minutes actually saw what our uncle was talking about. So I was kind of done with using them, which bummed me out, a lot. Now when I got the opportunity a couple of weeks ago to review a Scentsy warmer from one of their lovely reps, Nicole, I was excited. I had heard a lot about Scentsy from friends and family members, but never thought to try it. 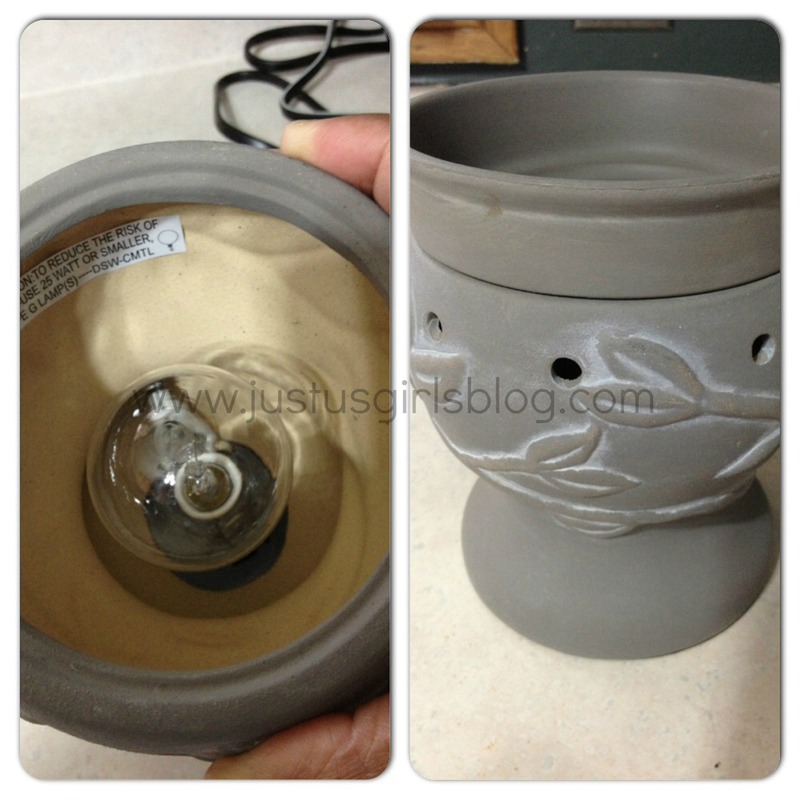 I must have been going cray cray because after using the Scentsy warmer, I immediately was addicted and loving it. Not to mention it was making my house smell wonderful. I actually hurried and emailed Nicole and ordered three more of their Scentsy bars so I would have them before I ran out. 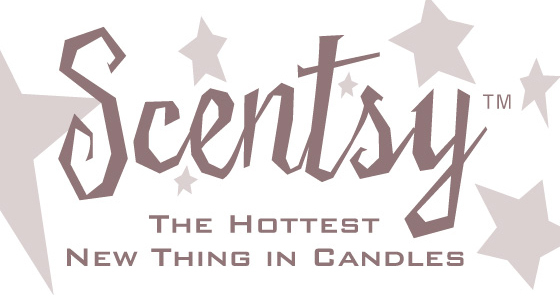 If you're not familiar with what Scentsy is, it's pretty much a safe and easier alternative to candles. 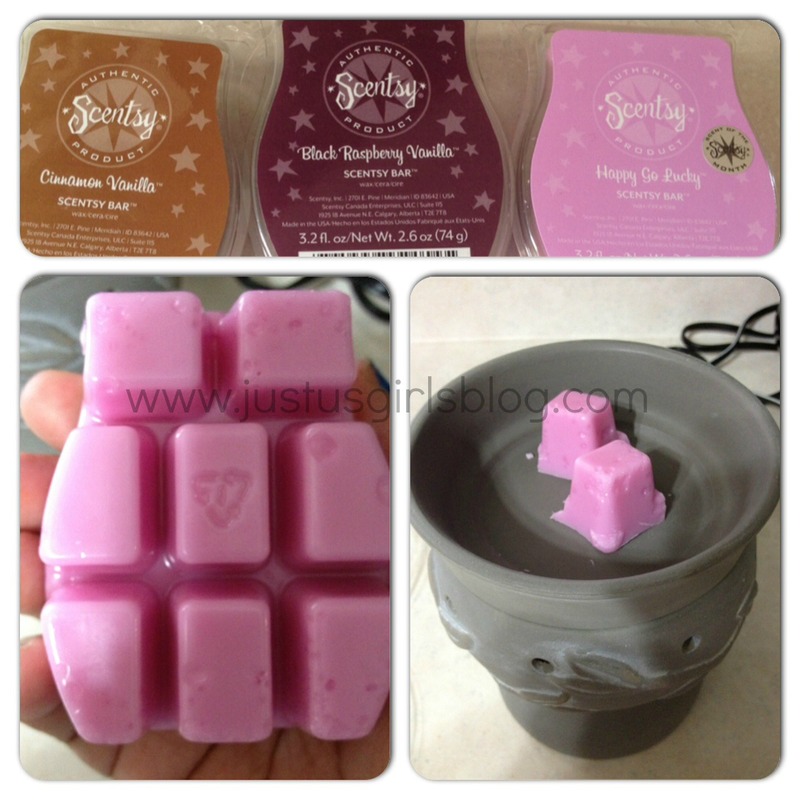 What I loved about the Scentsy warmers is that they are wick-less, which also means no soot on my ceilings or walls and they are flame-less which is awesome considering I do have kids running around my home. They are very easy to put together and comes with a lightbulb, your warmer and the top so that you can put pieces of your Scentsy bars and be ready to have your house smell divine! The Scentsy warmers come in many different sizes and they also have plugin ones, which I think are pretty neat and can't wait to try. I was sent one of the large warmers and it came with the, Happy Go Lucky Scentsy bar, which made my house smell like love, which I think is perfect since it's Valentine's Day. If you already have a warmer or interested in purchasing one be sure to go check out Nicole's Scentsy Site because the entire month of February you can save and order your Scentsy Bars and get a 10% discount. Also, Nicole can now take orders from those of you that are in the States too as well as us here in Canada! Disclosure: All opinions are my own. I received a Scentsy warmer and bar at no cost for the purpose of this review. No other compensation was received.